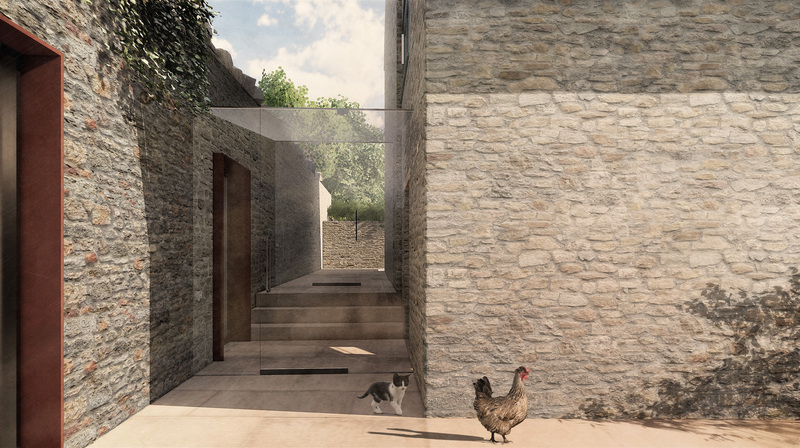 An eco-annex for grade II listed farm house in the beautiful Somerset Mendips, developed to enable multi-generational living within the property. 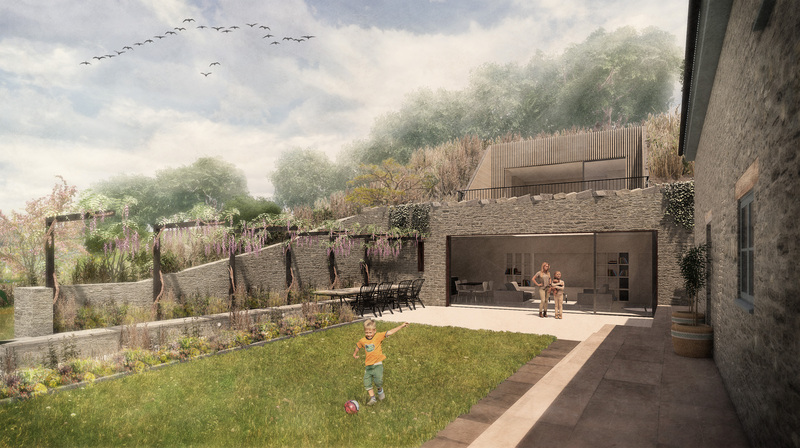 We used the existing site topography and recessed the accommodation into the adjacent hill side, creating a subtle landscaping intervention. Although located in rural surroundings the design draws on Patrick Hodkinson’s work at the Brunswick Centre using offset split levels to create an external terrace. 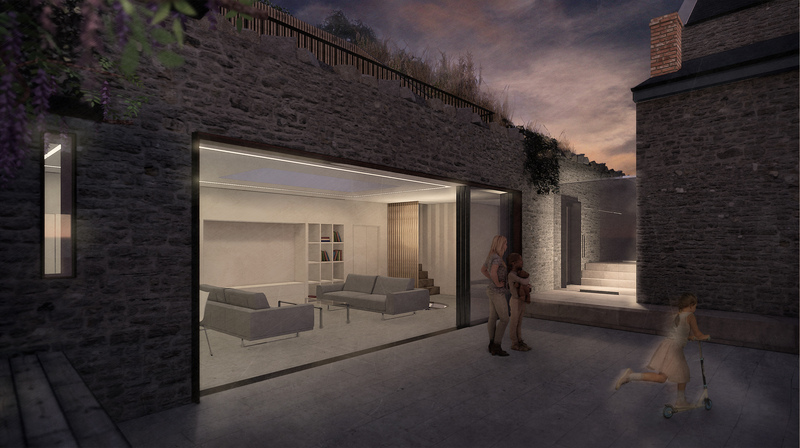 The scheme incorporates ground source heat, transparent photo-voltaic rooflights, a grey water system and passive cooling.